Field tested and approved by the most respected and prestigious drum and bugle corps. The MS2 Corpsmaster snare sticks feature an oval tip for a more rounded sound. With a short taper and extra length than the MS1, it produces more leverage and power. Built from durable US hickory, these sticks are designed to survive the intensity of marching snare drumming. Vic Firth Drumsticks are dedicated to providing drummers with "The Perfect Pair", and are the most popular brand of drumsticks in the world. 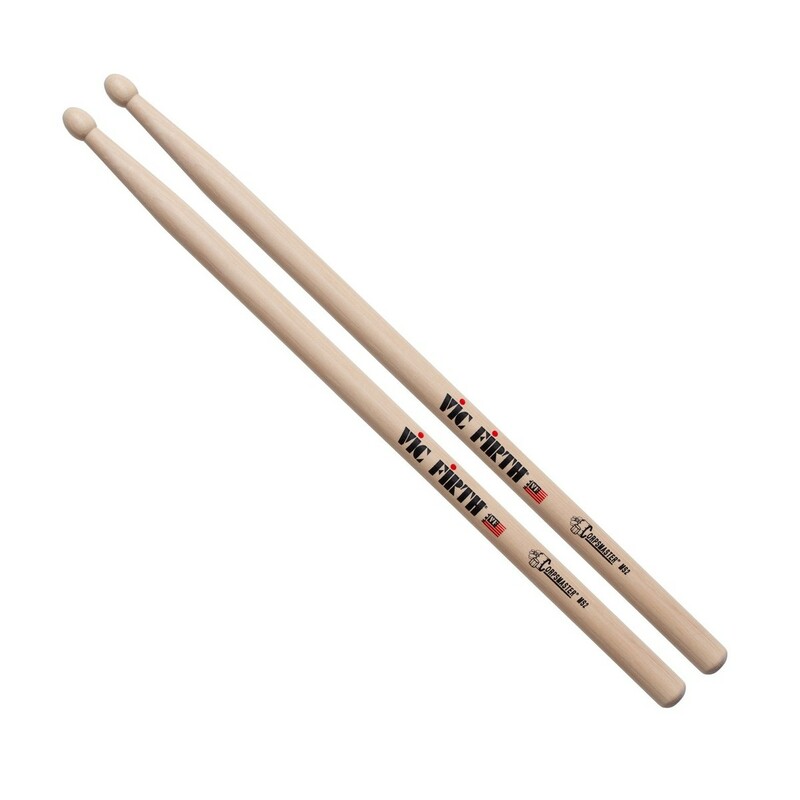 Vic Firth has always led the way in creating strong, consistent drumsticks; with a cut, shape, and spec to suit every drummer. The late Everett “Vic” Firth surrounded himself with the best of the best, so he knew each member of the Vic Firth family would work with a passion unsurpassed in the industry.